Former Team USA rider Ricky Johnson needs no introduction to the motocross fan. 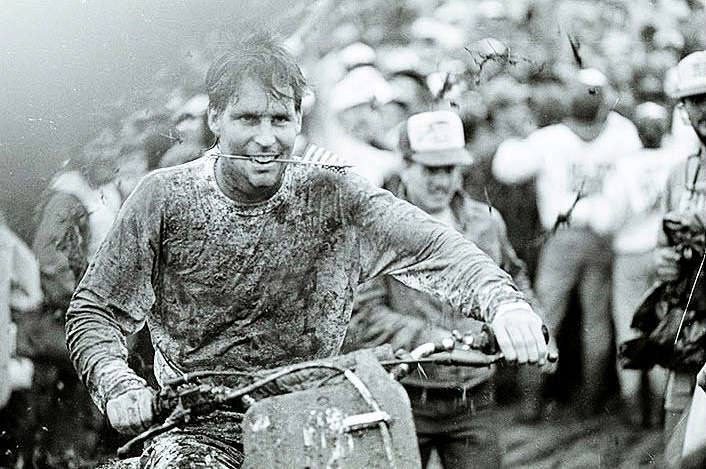 The seven times AMA motocross and supercross champion and five-time winner of the MXoN and Trophee des Nations, he knew how to win on a motocross bike in the 1980s. Probably close to being the best rider from that era, and without question the most entertaining and charismatic. Known for his surfer boy looks and his exciting style, Johnson rode in the golden era of American motocross. In a time when Team USA won a staggering 13 years running (no team will ever break that run). Always honest, and dedicated to the sport, RJ spoke with us this morning and gave us his opinion about the 2018 Monster Energy Motocross of Nations, held at the Redbud circuit in America two weeks ago. Firstly, congratulation on Puerta Rico and their success. Absolutely, the guys did a good job and I am very proud of them. They had a great attitude and it turned out to be a complete success. We knew we were not in the running to be up front, but to win the B main, and to go out and be appreciated by the fans, was awesome. To have Kevin Windham to tell us it was the coolest lap of his life and absorbed the love from the crowd. I saw your Racerx video interviews and it looked like it was good the interviews were done then and not an hour or two later, because it looked like you guys were having a lot of fun. The whole idea was to have fun, and nothing got out of control, nobody had fights, everyone had a few drinks and let their hair down and we let everybody into our pits and that is something I felt at Farleigh Castle (Johnson was special guest at the VMXdN), everybody just wanted to have fun and talk about motocross and the whole Tomac vs Herlings thing and party with Team Puerta Rico, so at least they got one part of the deal, part of it happened. Speaking about the Tomac vs Herlings, the situation with Team USA isn’t good. As a GP fan, and as a motocross fan, I am hearing a lot of excuses, and some of them I understand, but many I just don’t get. What was your feeling from the weekend? They got their asses kicked. I mean, they didn’t adapt to the track, or the riding styles. When you can see somebody going much faster than you, and you don’t try and do what they are doing. I felt there was too much pressure on the American team, to me they rode stressed out. Plessinger to me was screaming the bike, he should have shifted. I know he is a big guy for a 250, but still he was screaming it really hard. All three were really hard on the berms, they were just hitting them really hard. The fact that track did suit the Europeans, and they brought in sand, but still, it’s a track, its dirt and it’s a competition and you have to adapt to what the conditions are, and the American riders didn’t. My first ever MXoN as a fan was Unadilla in 1987, in the worst mud race ever, and I remember Team USA adapting to that track ok. Right, and that was the thing, I was under the gun there. First moto Jeff Ward got his goggles blown off, and Bob Hannah got caught in the area called screw you and I remember saying to myself, I have to win both motos if we have a chance. With the mud and knowing how good Eric Geboers and the other were in the mud, I knew I had my back to the wall, but mud didn’t bother me, I just had a good plan for my goggles and I was the only one with goggles at the end of the race. We adapted to the track that day, as we did in 1984, when Roger (DeCoster) told me how good Andrea Vromans was in the sand and I watched him and tried to implement that in the race, we had to adapt back then also. Obviously there is the talk that Team USA do too much supercross, and I know the supercross tracks now are a lot different to what you raced in the 1980s. I think back in the day the supercross tracks were often just indoor motocross tracks, while now they are clearly much different to outdoor tracks. What is your opinion? Well, for safety reasons they don’t have the big bowl turns, where they used to get a lot of speed, and riders were going into the crowd, so they toned those down. That hurt the racing, because they can’t lean on the berms, the jumps the riders seem to be better at dealing with, but other than that, it is similar. Back when we did it, we guessed a lot, is this a double or a triple, are your balls big enough to jump it. In the defend of the American based riders, they did have four weeks off and you don’t have the intensity and the other guys came from Europe. The bottom line is, we got beat and for a lot of reasons, and not excuses, just it is what it is. If we want to beat these European riders, we need to change some stuff, because they are unbelievably fast. That Saturday ride by Herlings on Saturday, when he came from a long way back, and while he only went 3-1-2, and everyone expected him to go 1-1-1, he really showed how much better he is than everyone else in that Saturday charge. What did you think. It was phenomenal, and I like Herlings, he reminds me of myself and he wants to win all the time, and that can bite you. You have to be smart, like the story of the young bull who wants to run down and screw all those cows and the old bull says let’s walk down and screw them all. Right now, he has the World intimidated with his speed. I was also impressed with Antonio Cairoli. Had he not gone down in that first turn and he got hit hard, but he bounced back. It would have been great to see him and Herlings up front fighting, but it didn’t happen. 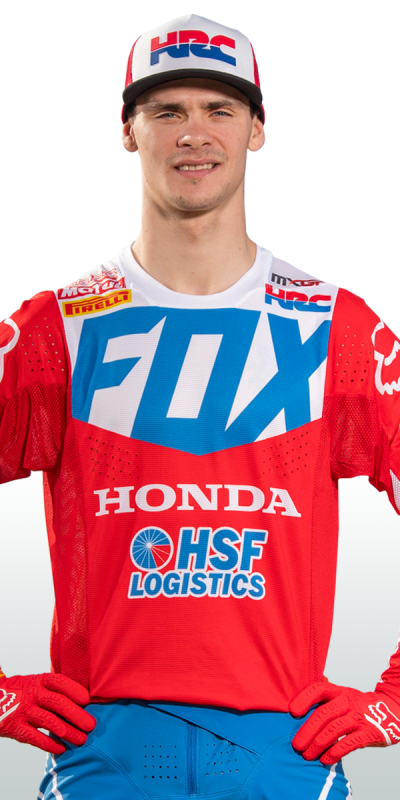 Bottom line, very impressed with Jeffrey Herlings. There is talk that Roger is too old and should step down and I don’t always get that, because I am not sure there is anyone else in the sport who is more respected than Roger De Coster. Obviously, you have ridden under Roger and are good friends. What is your opinion, and if he did step down would you like the job? There has been no talk of it, would I yes, but is Roger too old, absolutely not. I stood with Roger during some of the races, watching the rider’s styles, Herlings, Cairoli, and he was telling our guys (Team USA) the same thing he used to tell me, and our guys back in the 80s. We listened and I am not sure if these guys are listening to Roger. If Roger told me to sit on the bike backwards, I was going to do it, he was my hero. Everybody now has their crew, trainer and stuff and even if somebody is giving them great information, if they are not from their camp, maybe they don’t listen. I don’t know. What I do know, when Wardy, Lechien and I raced and fought hard throughout the season, we were team-mates at the MXoN and we did everything for each other. Bottom line, would I entertain it if they asked me, not while Roger is in charge, he is the Moses of American motocross and he has led more American motocross riders to the promised land than anyone else has. Do you think its just like the 80s now but in reverse? Back then we were just not good enough, and maybe that is the case now for you guys? You must have read enough excuses when you guys were dominating the sport. Well, I think, when it comes to motocross, obviously the emphasis is on supercross and not motocross. I think Jeremy McGrath said it on the commentary from the PA, he said he screwed it up by going supercross only contracts, and then other followed. Winning outdoor motocross is good, but it is second to supercross. I think there is too much emphasis on supercross and I think the two series need to work together. Maybe the GP could be shortened or move the series back and take the AMA series back. I think it is also time to evolve the MXoN, why not have big prizemoney for the winning teams, why not give out bronze, silver and gold TAG watches to the podium guys (Team France got TAG watches). I have a gold medal, that means the World to me, but damn, you got to question the American guys, but if Tomac wins the American supercross he wins a million dollars from the factory, and there is pride for the MXoN. I think that could change a little. Barcia has said he would move to Belgium for a month, and Tomac has said he wants to get revenge, come to Europe and whether he means come to the MXoN or do a GP or two, that is good news for Team USA that these guys want to still win this thing. Yes, it is, but, everything can change in a moment. Do they feel the same after a long supercross season? I think it’s great but let’s see when it comes time to want to go. 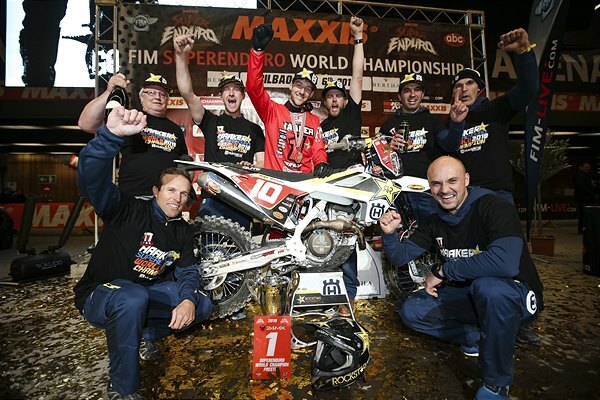 When you are called, you better be ready and is Barcia the right pick next year, is Eli, is Anderson. Of course its good they want to go to Europe for the preparation, because when they go to Holland next year, they better be ready for sand. I remember back in the 1980s you guys would do international races before the MXoN, and also after the event. Yes, we would go over, and one year we did a supercross in Stockholm, and we would do races all over the place and we put on a good show, but we were also making money over there. Last question, is there a quick fix to what happened two weeks ago? No, there is no quick fix. Youthstream have done a good job making their tracks a little more aggressive. When we did it back in the 1980s, there was a rule no double jumps on GP tracks, and while they didn’t have double jumps, we would turn things into double jumps. We were very aggressive in some sections of the GP tracks. Now if you look at Herlings, he quads the jumps, that shouldn’t be jumped, but he is doing it. What we need to get much better is our corner speed, and that is where Cairoli and Herlings and those guys had us smoked. We rode the tracks way too hard. I used to ride tracks like that, because riding in Southern California, you had hard pack and you would rocket out of a berm and get good speed for the next section, but in sand J.M. Bayle would kill me, because he would run really light in the berm and spread the load. So I knew I had to change to compete with him in corners, and I could change my style.